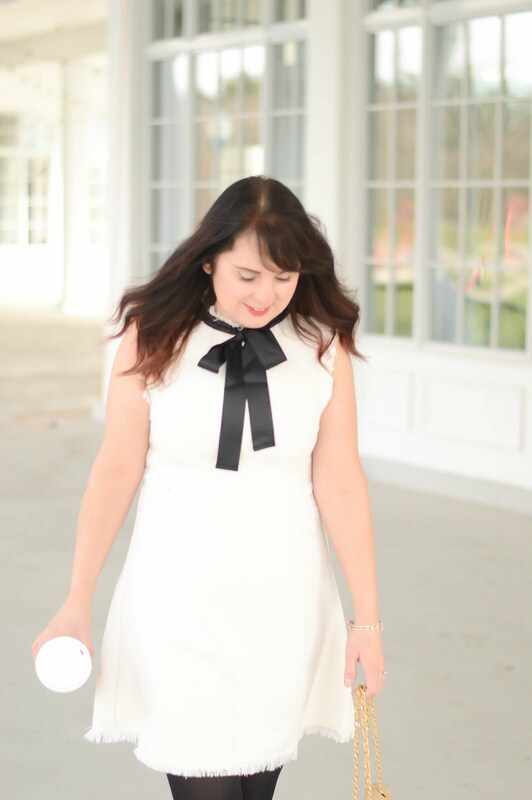 Now onto Day 5 of the 8 Days of Holiday Giveaways! 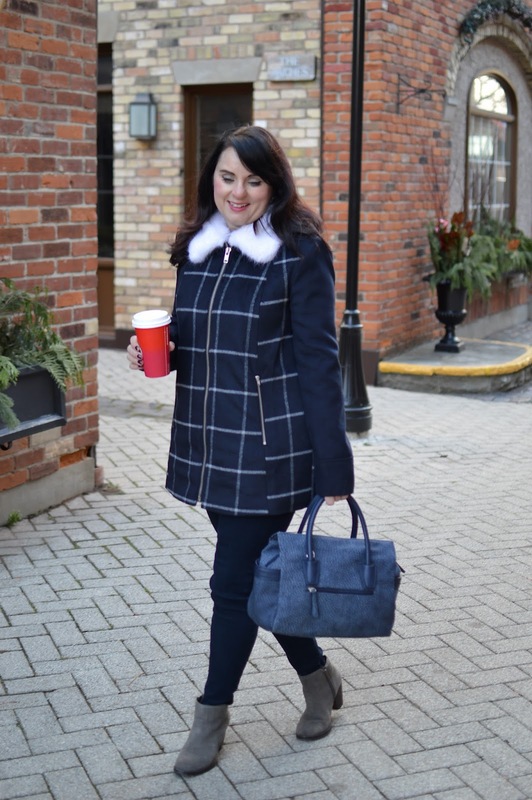 Today, you can win the bag I am carrying in this post from PinkStix. 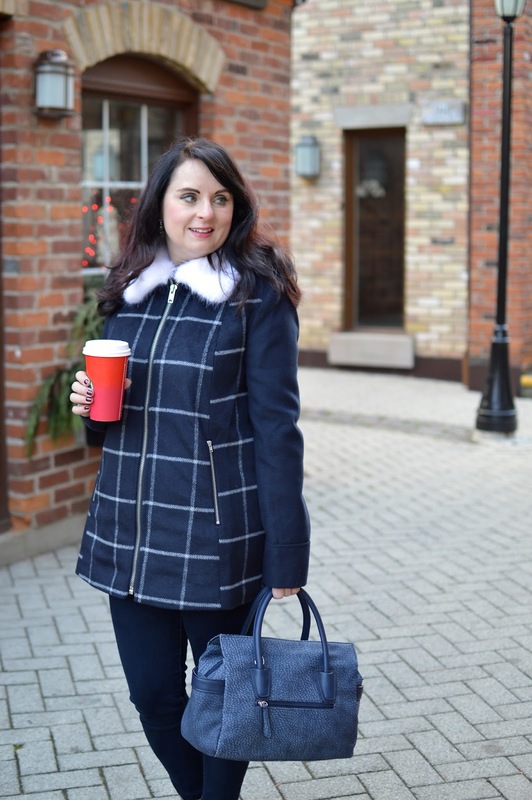 PinkStix is my go-to online shop for fantastic bags, and accessories. 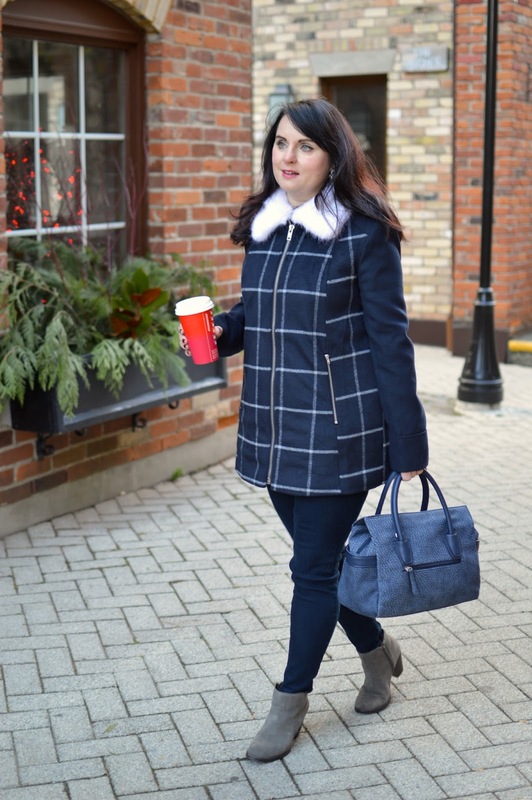 The blue/grey bag I am carrying is the textured tote. 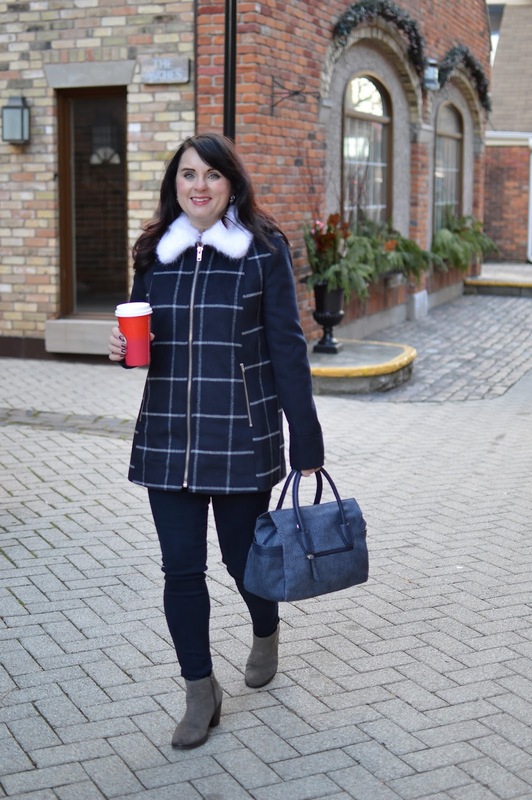 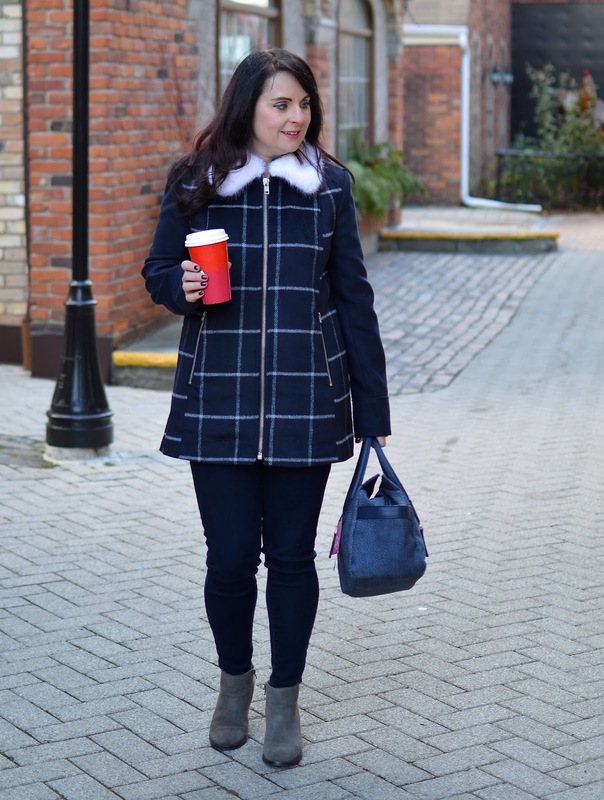 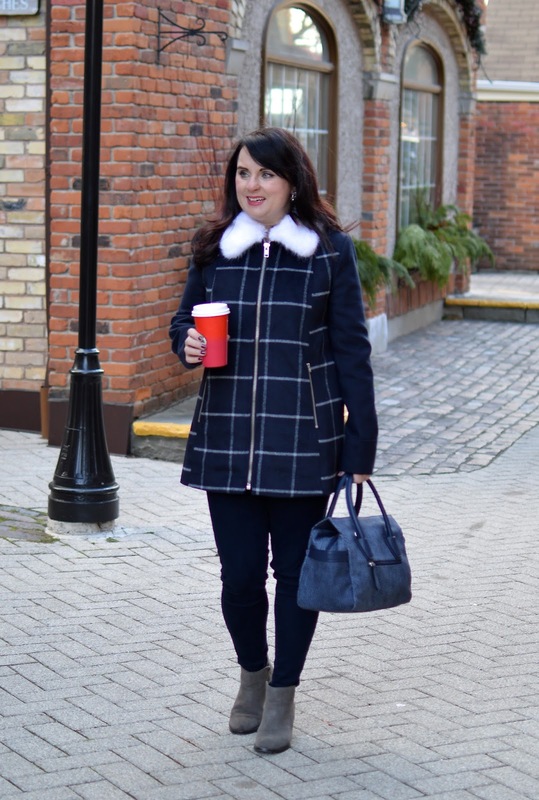 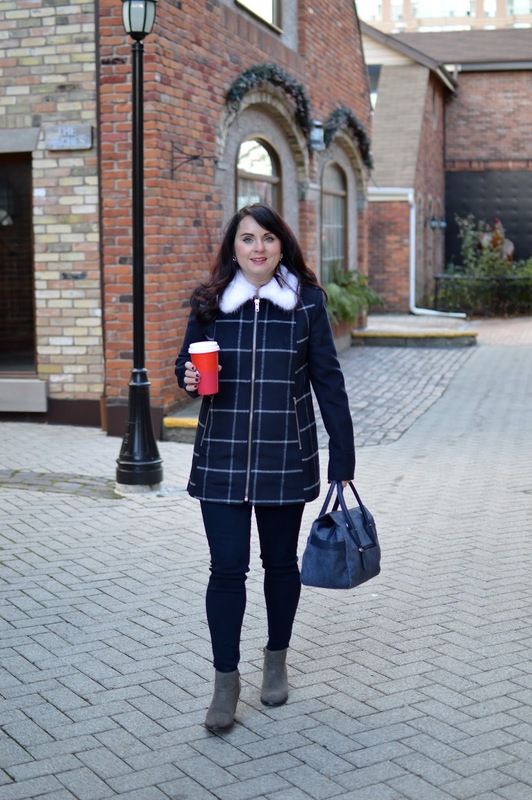 Enter to win it below and my windowpane navy coat is a steal of a deal so check the shop the post section!